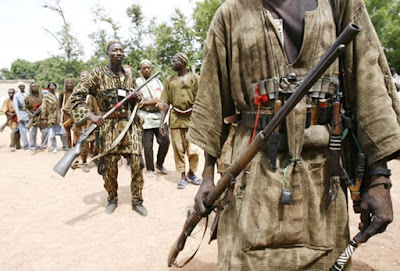 The Professional Hunters Association of Nigeria, Ogun State Chapter, on Wednesday offered to support the Federal Government in the fight against terrorism in the country. The National Adviser of Board of Trustees of the association, Chief Yusuf Alao, said while receiving a confirmation certificate as the new National Adviser of the association and his members were capable of fighting terrorism anywhere in the country. He said, “The Federal Government ought to be paying us salaries so as to encourage us to fight the menace of terrorism in the country. He added, “We hunters are capable of fighting terrorists. We have traditional powers, which make us different from others in curbing terrorism in Nigeria. “The policemen and the soldiers do not have what we have, and that is why some of them lose their lives in the process of fighting the terrorists.